Ultrasound video imaging is an important process in monitoring baby development. It can track a newborn’s growth or check for certain medical conditions. 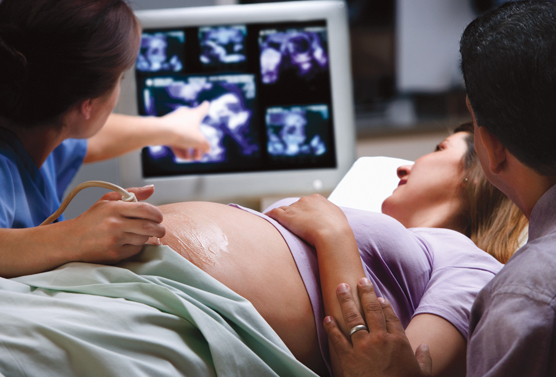 Physicians rely on diagnostic medical sonographers to provide accurate newborn imaging. As a result of this demand, you might be considering starting your own ultrasound practice. The rigors of business start-up however, are enough to turn people away from the idea. If you are serious about opening your own ultrasound imaging service, follow all the advice in this post closely. Here is a guide to starting an ultrasound video imaging service. If you are trying to start an ultrasound imaging service, you must have a background in diagnostic medical sonography. If you do not, it is recommended that you receive training. There are various organizations, like the American Registry for Diagnostic Medical Sonography, that offer online courses for training and certification, just as the Bond Street referral program does. You can use these courses to learn more about the industry or become a certified sonographer yourself. Having a background in sonography is an important first step in starting an ultrasound video imaging service. Securing finances for your medical practice is going to be difficult. Equipment costs, salaries, maintenance, rent and overhead costs are going to add up to an exorbitant sum. Ultrasound imaging equipment, in particular, can cost anywhere from $10,000 to $200,000. Take your time exploring numerous financing venues. Run through listings on the internet or ask a financial advisor for assistance. Once you have the necessary finances, you can move on to the next step in starting an ultrasound video imaging service. Purchasing ultrasound equipment is an essential part of your business start-up. First, you need to decide what type of business you are going to run. Mobile imaging businesses use smaller, less-expensive equipment that they can transport between locations. You also need to decide if you are going to be conducting 2D, 3D or 4D imaging. Each type has different machine requirements. Along with imaging equipment, you are going to need computers, peripherals, software and communications and collaboration equipment. Furnishing is a plus as well. Once you have the necessary equipment, you can move on to the final step of opening a ultrasound video imaging business. In order to start profiting from your business, you are going to need customers. As a medical service provider, you need to reach out to private medical practices. They are going to be the bulk of your clientele. You can also connect with medical professionals through local events or seminars. Advertising is a must, as well. Create brochures and fliers using office paper for your ultrasound practice. Hand out business cards and look for space in newspapers or magazines for ads. Once you get the word out about your business, you will have successfully started your ultrasound video imaging business. If you open an ultrasound video imaging business successfully, you are going to need to advertise to keep it successful, as mentioned above. However, it is far too easy for many entrepreneurs to forget the possible advantages of targeted ads. Targeted advertisements on Facebook and other social media platforms and websites are an excellent way to make sure the right people are seeing your ultrasound ads. Mid-pregnancy ultrasound exams are typically done between 16 and 20 weeks, so you should target people that are in the early stages of pregnancy. If you practice ad targeting marketing, your ultrasound imaging business is sure to succeed. Ultrasound imaging services are difficult to start for a number of reasons, but thankfully you do not need to worry about finding the answer to “what is a provisional patent” in order to start this type of venture. First, they require a certain level of medical expertise. Certification courses are expensive and take time to complete. Also, they require expensive imaging equipment. Extensive financing options will be needed in order to cover your start-up costs. As long as you follow the steps in this guide, you will have no problem starting your own ultrasound video imaging service.